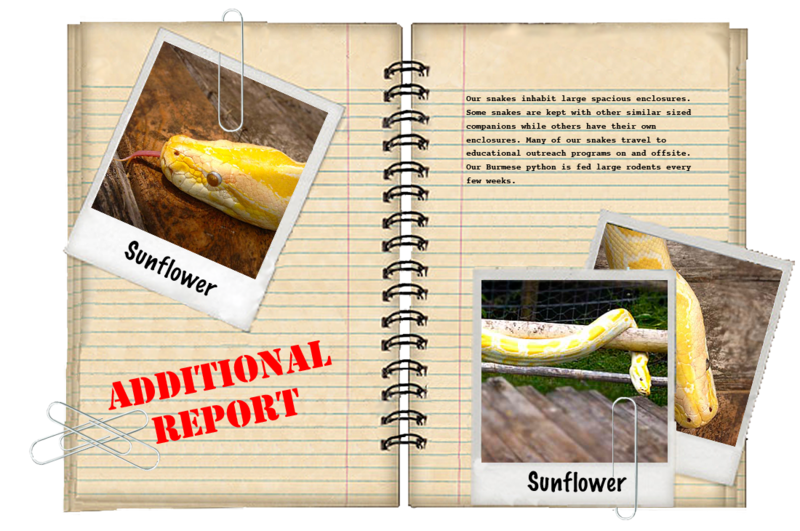 Sunflower is an albino Burmese Python. 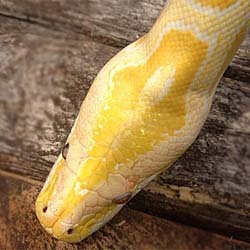 She is lacking pigment in her skin, giving her a yellow and white appearance. 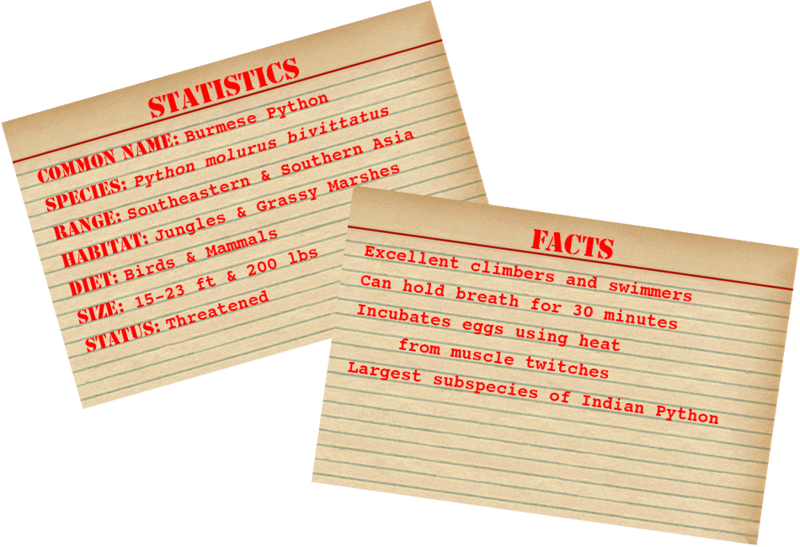 She came to Croc Encounters as a former pet and has reached a length of about 10 feet.